Why was I so convinced of the outcome that shocked virtually the entire economics profession? Since the original vote, the U.K. government has been negotiating with the EU about the exact terms and timing of Brexit. But there has been no resolution. And those negotiations are coming to a head because a deadline for final exit with or without negotiated terms is just four days away, March 29. U.K. Prime Minister Theresa May has been caught between a rock and a hard place. 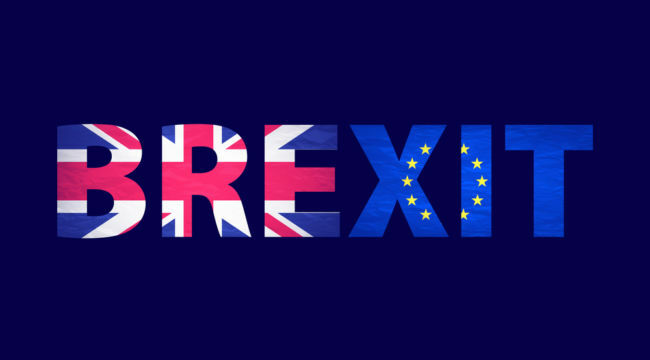 Many members of Parliament are opposed to Brexit and have done nothing to support her in the negotiations with the EU. Other members of her own party support Brexit but believe May’s compromises in the negotiations leave the U.K. too close to the EU and defeat the purpose of the original referendum. In other words, that many existing EU regulations and political control would still come from Brussels instead of London. Some of these involve the hot-button issues that led to Brexit in the first place, like immigration. Also opposing May have been officials in Northern Ireland and Scotland who are strongly anti-Brexit and do not want to see their relations with the EU disrupted. Between the anti-Brexit forces and the hard-line Brexit forces, May cannot get a majority to support her. I was watching C-SPAN last night and saw footage of May appearing before the House of Commons last Wednesday. Let’s just say the debate was heated. Meanwhile, the anti-Brexit forces have been trying to undo the original Brexit vote with calls for a new referendum. Among these uber-globalists is Anatole Kaletsky, a financial analyst and global activist. I debated Kaletsky in Switzerland last year. He was condescending and a bit arrogant, which is what one expects from the globalists. He was also out of touch with popular sentiment, which is why he got it wrong in his original Brexit “remain” forecast. Kaletsky has been banking on widespread opposition and political stalemate to force another referendum as a way to ratify the final deal. He has been convinced that a new referendum would reject Brexit. But this is wishful thinking on Kaletsky’s part, the same wishful thinking that caused him to miss Brexit in the first place. But it’s a good lesson in the relentless methods of the globalists, who treat all setbacks as mere pauses in their quest for one world government. Now we’re just four days away from when Britain is scheduled to leave the EU. The EU has offered two alternative deadlines — one if the U.K. can agree on a deal, and one if they cannot. If May can convince Parliament to accept her most recent proposal, Britain will have until May 22 to finalize the details. But if she can’t persuade Parliament to accept the deal they’ve already rejected twice, Britain will only have until April 12 to sort out the next steps. If Britain can’t figure it out by April 12, “the option of a long extension will automatically become impossible,” says Donald Tusk, president of the European Council. The latest Brexit uncertainty comes at a very bad time. Global growth has hit a wall, and a poorly implemented Brexit could only bring additional head winds to the global economy. And it will spill over into U.S. stocks. That’s why Brexit could affect you personally, even if you don’t think you have a stake in the outcome. You might want to stock up on gold and keep your wealth in dollar-denominated assets. You definitely do not want heavy exposure to the British pound, which is set up for a significant fall.